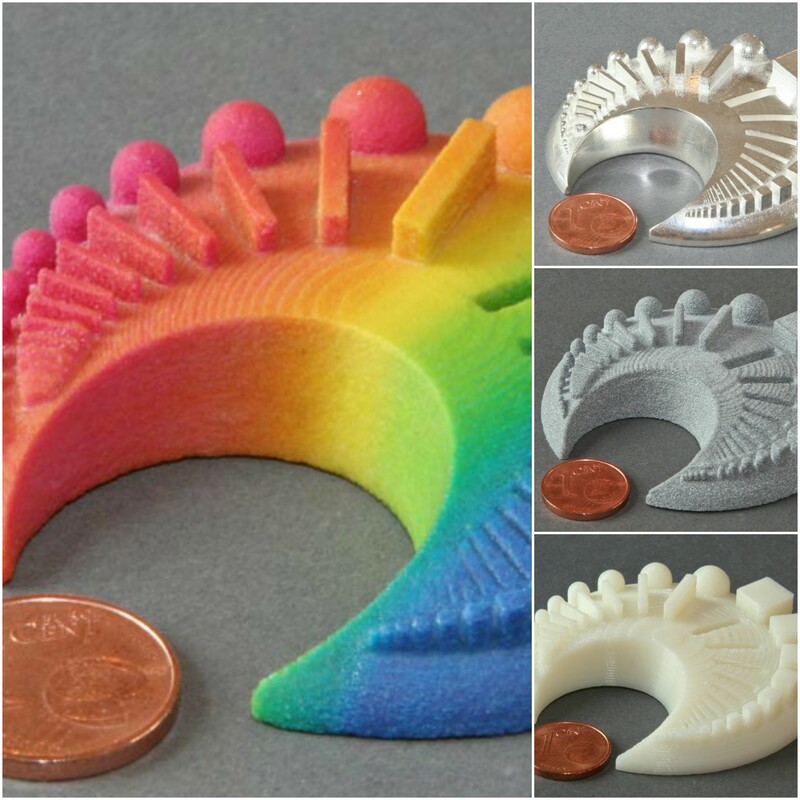 We’ve been in the 3D printing business for a while, and helped countless customers take their projects from an idea to a printed object. There are a lot of things to consider when you want to 3D print something, so we compiled a list of the 4 most frequently asked questions, along with their answers, to help you get started. 1. How do I start creating or editing my model? In order to create or edit a 3D model you’ll need a 3D modeling program. Don’t worry there are loads of different tools for all kinds of skill levels. Picking the right program has a lot to do with your familiarity with 3D models, below are a few we recommend. For personal projects, we recommend SketchUp. It’s simple to use and gives you the most important functionality. Once your design is ready, you can export it in one of our accepted file formats: ply, stl, 3ds, 3mf. 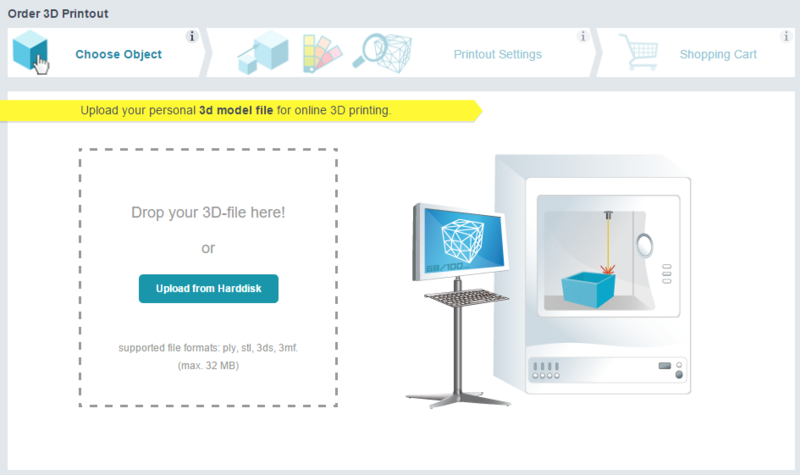 Before you upload your file make sure it is print ready with a free tool like Netfabb. Even when a pro creates a design there can be problem points. Tools, like Netfabb, will enable you to check wall thickness, repair some mesh issues, and test for overall printability. Not sure what design elements you have to pay attention to? Check out our design guidelines for an introduction. If you have specific needs and aren’t into designing yourself, we have contact with experienced designers, who can create something for you. Contact us and we’ll find someone to help you realize your vision. If you don’t have the budget for a designer or the design chops, check out platforms with designs for download, like thingiverse. 2. 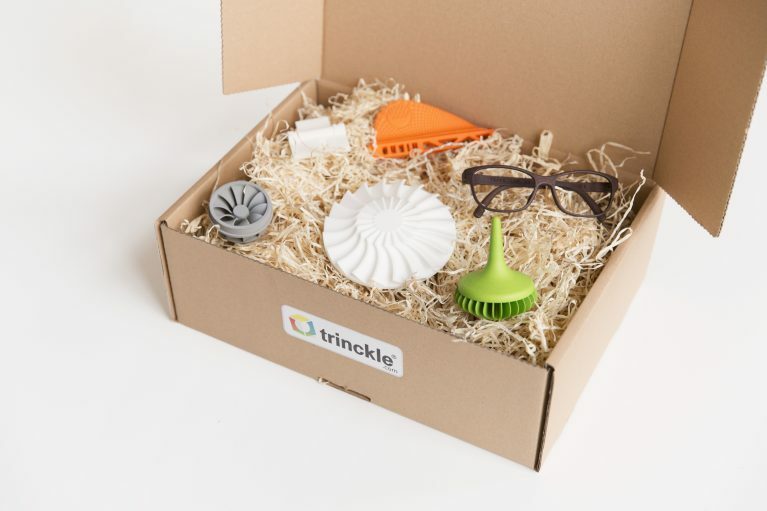 Can trinckle do a 3D scan for me? 3D scanners make it possible to analyze an object or even environment and then turn this information into a three-dimensional model. For example, you can scan your face to make sure a pair of glasses is perfectly tailored to you. We are often asked if we offer a 3D scanning service. Unfortunately, we don’t (we just can’t do it all), but there are a number of services and solutions you can use for getting a 3D scan done. Scann3D: For now it’s Android only, but ranks highly and is simple to use. Trnio: You can use this app with a whole range of devices, it also has a social component, so you can see what other people are creating. If scanning is a bit too much for you, you can always try to find a scan service near you: try searching for stores in your city that offer 3D scanning. 3. What material should I print my model in? That is an extremely important question to which there is no one answer. In fact, it has a lot to do with what you’re printing and its intended use. The list below will help you decide what material is best for your project. Polyamide is a thermoplastic used in the plastic sintering process. A true all-rounder, its uses are varied. Its bendability and strength make it great for moving parts or tools, and the ability to print fine details make it a popular choice for design projects. Extremely rigid and able to produce very fine detail, PMMA is particularly suitable for creating accurate prototypes. However, it is a rather brittle material and anything created using this method should not be subjected to mechanical stress. A common thermoplastic, ABS is not only very stable, but also resistant to abrasion. These characteristics make it perfect for use in producing mechanical parts. It is also comparatively lightweight, making it good for creating bulkier prototypes where weight is a concern. Resin-bonded plaster has the look and feel of ordinary plaster or sandstone and can be printed in loads of colors. Not the strongest of materials, it is best suited for creating non-functional and also larger prototypes or decorative objects. Shaped with heat, but with the consistency of rubber at room temperature, thermoplastic rubbers are extremely flexible and can be used for anything from rubber ducks to technical components. Alumide is a mixture of polyamide and aluminum powder. Its rigidity, heat resistance, and higher weight make it suitable for creating mechanical parts. Combining a transparent appearance with fine details, this is the material for you if you need to create models for display, a glass-like effect, want to make action figures, or need details for constructing models. Comparatively soft, this material is just the thing for decorative objects and ornaments. One popular application is for the creation of customized jewelry. Still hungry for more information on materials? Visit our materials page to learn more. 4. How much is printing going to cost me? Size: This is definitely one to pay attention to. The price increases disproportionately to the size. So, a seemingly small increase in size can result in a significantly larger increase in price. Design: Not working with your own design? Although there are platforms where you can get designs for free, some will come with a price tag. In our experience the best thing to do is upload your design to our website. You’ll get a quote instantly, and if you have more questions we’re always here to help. Those are 4 of the questions we hear most often, but there are so many others. If you didn’t find an answer here, visit our FAQ page to learn more. Or you can send us an email at support@trinckle.com. “Picture name 1” is in the public domain. “Picture name 2” courtesy of Rights Owner 2. “Picture name 3” by Rights Owner 3 is licensed under the CC BY-SA 2.0 license. Cropped from original.